Please include a resume and a cover letter with salary requirements, information regarding how you learned of the position, and a description of how your qualifications and experience match FRWA’s needs and mission. All submissions of candidacy will be accepted until the position is filled. Salary is commensurate with experience, within the framework of the organization’s annual operating budget. FRWA is an equal opportunity employer and actively seeks a diverse pool of candidates. To learn more about the position and how to apply, download the PDF at the link below. 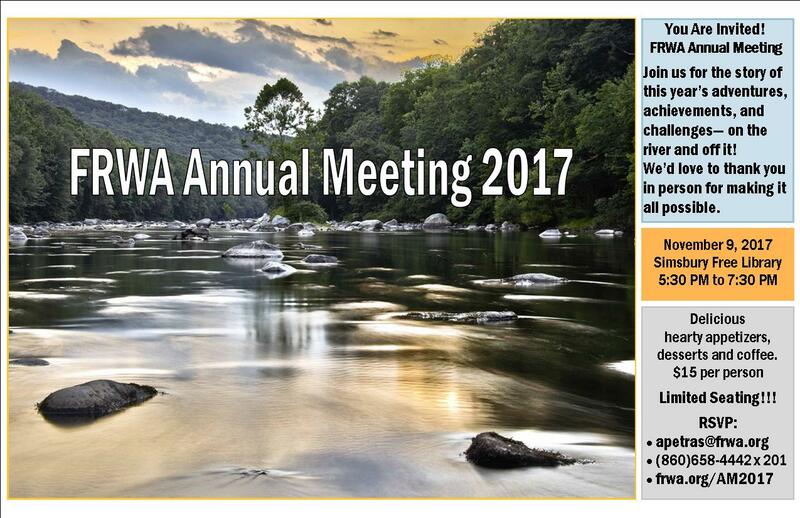 The Farmington River Watershed Association (FRWA) is accepting applications for River Stewards for summer 2018. River Stewards will work in the field, laboratory, and office on several projects, including weekly water quality sampling and analysis; assessments of aquatic animal passage at road-stream crossings as weather permits; outreach (live and online) to promote safe and responsible river recreation; and assisting with FRWA’s “River Smart” outreach activities. Background. The Farmington River is one of the most popular recreational rivers in Connecticut, with world-class trout fishing and whitewater paddling reaches, plus flatwater stretches and riverside trails. It has small scale hydropower, and provides drinking water for over 450,000 people in greater Hartford. Though intensively managed, it still faces challenges to its water quality and aquatic life. FRWA is the private, non-profit organization, founded in 1953, that is dedicated to preserving, protecting, and restoring the Farmington River and its watershed. (see www.frwa.org.) Seasonal positions at FRWA provide broad experience in watershed management, monitoring, planning, and public education, and balancing the many demands made on this natural resource. Overview: River Steward seasonal staff are based in FRWA’s office in Simsbury, CT. They have responsibilities typical for entry-level professional positions in watershed associations. Their work entails travel throughout watershed towns as needed. Seasonal staff are expected to work up to 24 hours per week, depending on need and weather, for up to 11 weeks from late May or early June through early to mid-August. Most work is during regular weekday hours but early morning, evening, or weekend hours are sometimes required. Indoor work is expected to be done in the FRWA office, to allow interaction with team members. Water quality monitoring. FRWA provides water quality data to the CT DEEP as part of state compliance with the Clean Water Act; data collection and analysis is therefore held to a high standard. Monitoring is ongoing throughout the season and requires at least one seasonal staff every Monday and Tuesday. It includes training; collecting water samples from the field; laboratory preparation and analysis of samples for bacteria, data quality assurance and entry. Other tasks may include placing temperature data loggers, choosing additional sampling sites, and field collection of benthic macroinvertebrates. Stream crossing assessments. Seasonal staff will work with FRWA staff to evaluate road-stream crossings (culverts and bridges) in the lower Farmington River for their ability to allow passage of aquatic animals. The process also identifies crossings vulnerable to failure in extreme storm events. We use the protocol of the North Atlantic Aquatic Continuity Collaborative (NAACC), used by other agencies and organizations throughout the Northeast. Data are uploaded to a regional database for viewing and analysis. Seasonal staff undergo mandatory training and testing in the protocol; obtain and record data at field sites; and assist with reviewing and uploading data. Note, this work is highly dependent on appropriate stream flow conditions. Drought will significantly reduce the hours available. Public education and outreach. This may entail face-to-face interaction with recreational users to encourage safe practices and good river etiquette, maintaining a lively online presence for FRWA on our website and in social media, and participating in programs, events, and field trips for youth and the general public. Qualifications. The ideal candidate is an advanced undergraduate or recent graduate, highly motivated to pursue environmental management, restoration, or advocacy as a profession. Coursework in environmental science and experience in field work and data collection are strongly preferred. A can-do attitude, imagination, interest in learning, flexible response to circumstances, “people skills,” and good humor are important. Be communicative and accountable, with “deliverables” that are complete and timely. Compensation. To be determined, based upon available funding. Deadline. Submission before May 15 is highly recommended. Applications will be accepted until positions are filled. The Town of Simsbury, the Simsbury Land Trust, the Canton Land Conservation Trust and the Farmington River Watershed Association cordially invite you to attend: “The Planet, Our Forests, and Championship Trees“. This regional forum will be held in the Program Room at the Simsbury Library, 725 Hopmeadow Street, Simsbury CT and led by Eric Hammerling, Executive Director of Connecticut Forest and Parks Association. Dr. William Moomaw, Professor Emeritus of International Environmental Policy, The Fletcher School, Tufts University and Founding Director, Center for International Environment and Resource Policy. Dr. Moomaw was the lead author of five (5) reports issued by the Intergovernmental Panel on Climate Change (IPCC). The IPCC shared the Nobel Peace Prize for its climate work in 2007. Dr. Moomaw will present data on the dynamic relationship between forests and the earth’s climate with a focus on the forests of North America and New England. Robert Leverett, a recognized expert on old growth forests and large trees. Recently Mr. Leverett re-measured the Pinchot Sycamore and has submitted it for consideration as a National Champion. Mr. Leverett’s stunning photos will showcase our Pinchot Sycamore and some of the amazing trees and old growth forests in the region. Check-in and a light supper will be available starting at 6:00 PM to provide time for socializing. Groups are invited to bring maps, handouts and event information. The formal program will begin at 7:00 PM. This regional forum is a follow up to our last forum held in April 2017, “The Future of Our Forests: Stewarding Our Lands Thoughtfully” that featured Dr. Ed Faison, Senior Ecologist from Highstead, a regional organization in Redding, CT dedicated to forest research and long term monitoring. Dr. Faison’s presentation is available on the Simsbury Town Website, and can be found clicking this link. Over 600,000 people in the Greater Hartford area and Farmington Valley receive their water from the Farmington River each year. 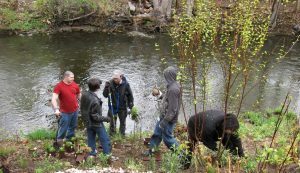 Protecting water quality in the Farmington River is in the region’s best interest and it starts in your backyard. 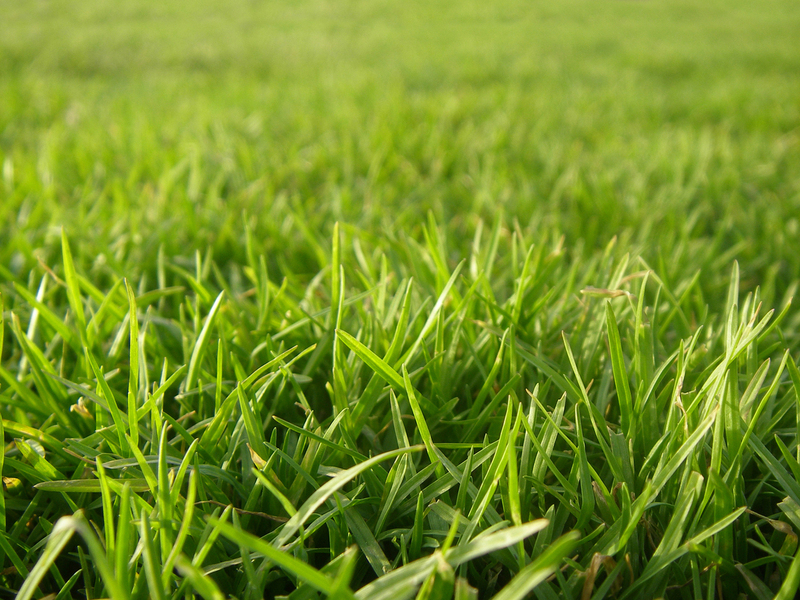 Did you know that how we care for our lawns can impact the health of our waterways? 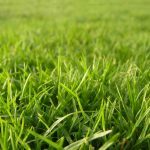 Join Aimee Petras, from the Farmington River Watershed Association, who will outline 6 simple things you can do to improve the health of your lawn and help protect the drinking water and ecological diversity provided by the Farmington River. FRWA’s Executive Director, Eileen Fielding, will be leaving FRWA in late January to take on a new position with the National Audubon Society. Since her arrival as Executive Director in 2008, FRWA has had a lead role in such partnership projects as the Lower Farmington Wild and Scenic River Management Plan, the update of the West Branch Wild and Scenic Management Plan, and the removal of Spoonville Dam in East Granby and Bloomfield. FRWA has also maintained and expanded its data collection for the Farmington River Water Quality Project, and completed many projects that restore habitat or reduce stormwater runoff in the watershed. Following the controversy in 2012-13 over the MDC’s proposed expansion to supply UConn with drinking water, she has represented FRWA as an active participant in the development of the new CT State Water Plan. The last nine years have also seen new education initiatives such as FRWA’s paid internships and River Smart outreach program. In her tenure, FRWA has also attracted significant support from community members, foundations, and government agencies. A search for FRWA’s next Executive Director will be underway shortly. We thank Eileen for her years of leadership, and wish her every success in her new venture! The Farmington River Watershed Association (FRWA) has a special interest in the outcome of the state water planning process. It was public outcry in 2012 over the possible sale of water from the Farmington River Watershed (specifically the Metropolitan District Commission’s Barkhamsted Reservoir) to the University of Connecticut in Storrs that provided the political pressure to finalize a state water plan after years of hiatus. Farmington Valley residents were surprised that MDC could propose a sale to such a distant customer, and objected to what seemed to be an ad hoc approach to solving UConn’s water supply problem. They realized that without a state water plan, there was a lack of readily available information about water resources statewide, and a lack of guidance as to whether any proposed water sale made sense for the state as a whole, or for water as a public trust. be transparent and have mechanisms for input from a broad range of stakeholders and the general public. In reality, the Draft State Water Plan does not, and cannot, fully address these concerns, but it does make some progress in the right direction. The following comments expand on that remark. Clarifying the status of CT water resources. Overall, given its tight timeline and its budget constraints, the Draft State Water Plan is an impressive compilation and presentation of information, and a useful framework for next steps. The Water Planning Council, the supporting Committees, and the consulting firms are to be thanked and congratulated on reaching this point. Even though this summary of Connecticut’s water resources is perhaps the most broad and comprehensive to date, the water data in its basin summary sheets should be interpreted with care. For some estimates on those sheets, the margin of error was necessarily large. Also, figures for water availability that represent averages over time can mask the severity of short-term fluctuations in available water. Lack of information about registered diversions introduces uncertainty. For example, the basin summaries show the natural flow of a river, and how much of that flow is usually in the channel or diverted for human use. But in many basin summaries, the number of registered diversions on a river exceeds the total flow of the river. The obvious conclusion is that the registered diversions are not all in use, or there would be far more dry riverbeds than at present. But which registrations are in use? Which are obsolete? Which might be re-activated and cause a problem later on? Added to that, how might climate change amplify future flow variation? Those questions need answers in order to craft a reasonable plan for any given river. Another cautionary note relates to the geographic scale of the basin summaries. In the Farmington River basin, there is often a disparity between flow in small tributaries and flow in the mainstem, especially since the latter is artificially maintained by releases from impoundments. We might be lulled by the fact that the basin as a whole looks robust. But to evaluate possible impacts of our actions on smaller streams within the watershed we should check more localized data, and do location-specific modeling. This warning applies to other river basins as well. The draft plan and its executive summary already contain these caveats. We repeat them here to emphasize that the Draft State Water Plan is the starting point for much more work. Needs, and options, for balancing in-stream water requirements with human consumption demands. The draft plan repeatedly states the intent to balance in-stream water needs with human consumptive needs. However, we agree with comments by Rivers Alliance of Connecticut and others, that “balance” needs clearer definition. One obstacle to defining balance is that there’s a wealth of quantitative data about how to meet human consumptive needs for water, and a large number of people who are familiar with that information; but biological needs for water in aquatic habitats, and the value of meeting those needs, are less well documented and understood by fewer people. Lack of knowledge is easily interpreted as lack of importance; despite intent to be even-handed, the better documented side carries more emphasis. That said, the basin summary sheets do graphically present ecological use and human consumptive use side by side for each of the 44 sub-basins studied. This is a step in the right direction. Going forward, our understanding of “balance” should be finer-tuned as more information emerges about the ecosystem services and economic values of our streams and rivers. The available options for balancing in-stream requirements with water supply demands are presented in the draft plan as information only, without expressed preference, which is a necessary first step. How we decide to choose among options is deferred to some later stage. Fair mechanisms for deciding how water can be extracted, sold, and moved by water utilities vs. allocated for other essential purposes. It’s fair to say that this issue generated the political impetus in 2012-13 for developing a State Water Plan (and for organizing the Water Utility Coordinating Committees). But in actuality, it covers a broader area of concerns, and involves more regulations, plans, and policies, than this State Water Plan can encompass. The draft plan provides no formulas or criteria for allocating water to this or that purpose. Rather than prescribing a resolution for the conflict that spurred the legislature to authorize this State Water Plan in the first place, the draft plan organizes information and options that will be relevant to resolution later on. Again, it’s a platform for future decisions rather than a set of decisions in itself. Fully recognizing the value of maintaining aquatic ecosystems such as rivers, streams, and wetlands. The water plan explicitly points out that it should not be legal to pump a river dry. Right now, a waterway can be legally pumped dry if it is over-allocated to registered diversions; or due to the fact that groundwater pumping is not currently included in state streamflow regulations. Transparent process with mechanisms for input from a broad range of stakeholders and the general public. The development of the draft state water plan was an open public process, and inclusive of many stakeholders. There was one glaring lack of transparency, however, arising from the exemption of water supply plans from Freedom of Information requests. Despite the best efforts of advocacy groups and the Department of Public Health, this problem was never satisfactorily resolved. It is still virtually impossible for a citizen of Connecticut to obtain a water utility’s water supply plan without unreasonable delay (if it can be obtained at all) and without a degree of redaction that goes well beyond what’s necessary for security purposes. Fortunately, the consultants who prepared the Draft Water Plan were granted access to the information, so we can be reasonably sure that the aggregated data are credible. But going forward, more people must have access to more information, if stakeholders and citizens are to have any meaningful role in all the policy decisions that still lie ahead. On this point, and on many others, we concur with the comments provided by Rivers Alliance of Connecticut. As emphasized repeatedly in the Draft State Water Plan itself, the document is a starting point. It identifies gaps in scientific knowledge, procedures that need to be established but are as yet undeveloped, and unresolved policy decisions that remain to be addressed. Limited Seating! RSVP by Monday, November 6. October 16, 6:30 to 8pm, the Simsbury Public Library. 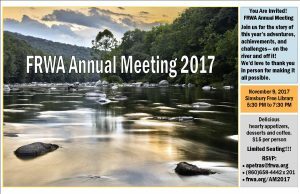 FRWA will outline why installations of bioswales, rain gardens and river buffers are important for river health, showing some local examples. This program is sponsored by the Simsbury Public Library and the Simsbury Garden Club.